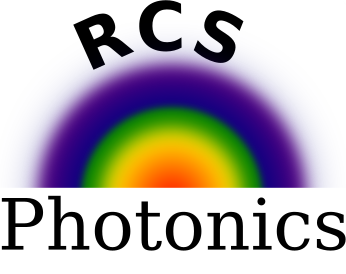 Dr. Coldren is a technical advisor of RCS Photonics. Dr. Coldren has more than 40 years of experiences on the components and fabrication techniques for III-V optoelectronic integrated circuits, including vertical-cavity lasers and widely tunable lasers for applications to optical switching and noiseless amplification. He is active in developing new photonic integrated circuit (PIC) and vertical-cavity surface-emitting laser (VCSEL) technology, including the underlying materials growth and fabrication techniques. 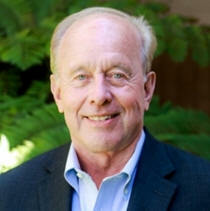 Dr. Coldren received the Ph.D degree in electrical engineering from Stanford University, Stanford, CA, in 1972. After 13 years in the research area with Bell Laboratories, he joined the University of California at Santa Barbara (UCSB) in 1984. He is currently the Fred Kavli Professor of Optoelectronics and Sensors and holds appointments with the Department of Materials and the Department of Electrical and Computer Engineering. From 2009 to 2011, he was acting Dean of the College of Engineering. In 1990, he co-founded Optical Concepts, later acquired as Gore Photonics, to develop novel VCSEL technology, and, in 1998, he co-founded Agility Communications, later acquired by JDSU (now Lumentum), to develop widely-tunable integrated transmitters. At UCSB, he has worked on multiple-section widely-tunable lasers and efficient vertical-cavity surface-emitting lasers (VCSELs). More recently, his group has developed high-performance InP-based photonic integrated circuits and high-speed, high-efficiency VCSELs. He has authored or coauthored over a thousand journal and conference papers, eight book chapters, a widely-used textbook, and 63 issued patents. He is a fellow of OSA, IEE, and the National Academy of Inventors as well as a member of the National Academy of Engineering. He was a recipient of the 2004 John Tyndall Award, the 2009 Aron Kressel Award, the 2014 David Sarnoff Award, the 2015 IPRM Award, and the 2017 Nick Holonyak, Jr. Award.